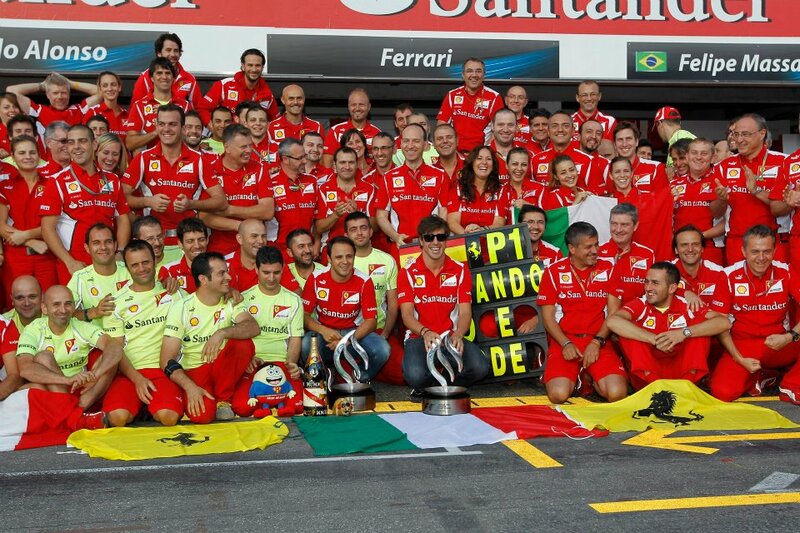 At the last race, Webber’s win closed the championship gap to Ferrari’s main-man, Fernando Alonso. 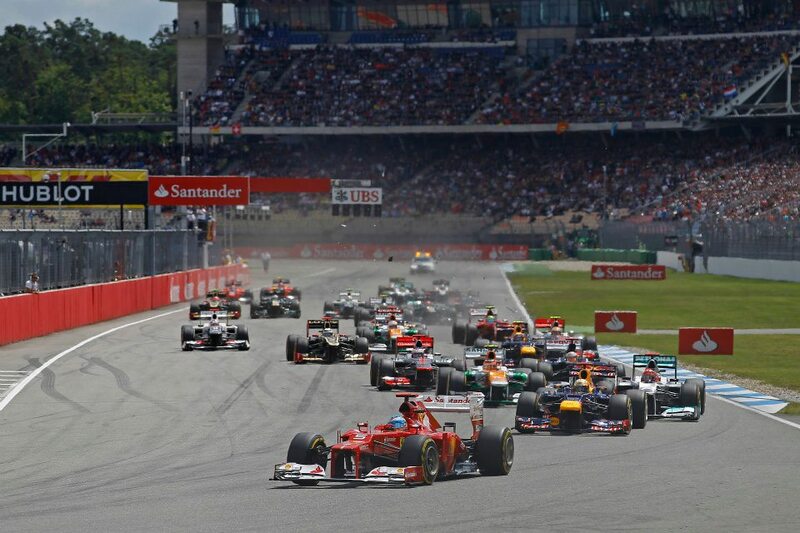 This weekend at Hockenheim in Germany was shaping up to be very similar to that last Grand Prix at Silverstone; wet and miserable, but with a dry race. Throughout all three Practice sessions there was very little running from the top teams, most of whom chose to save their limited number of wet tyres for Qualifying, a lesson learned at Silverstone. Q1 was dry but 2 and 3 were badly affected by huge downpours. This, combined with various penalties dished out for gear box changes and blocking in qualifying, made for an unusual grid. However, the front row looked very familiar. Alonso proved again that he has improved his wet weather driving, taking pole 0.4 seconds ahead of Vettel. Alonso made a terrific start, allowing him to build a small gap on the first lap while Vettel defended from third place Schumacher. Unfortunately, Massa allowed himself to get caught up in the chaos of the midfield with a poor qualifying performance. He lost his nose against another car in the first corner and that put him on the back foot for the rest of the afternoon. From there on, it was a game of cat and mouse between Fernando and the local favourite, Mr. Vettel. It looks for much of the race like the Red Bull was definitely the faster car in the dry, but Alonso was able to defend well whenever the world champion entered the DRS Zone and at times he showed just enough pace to keep the gap above a second, preventing Red Bull’s man from using his DRS at all. Later in the race, Jenson Button showed remarkable place in the newly updated McLaren. 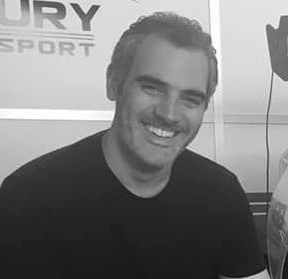 He took the fight to Vettel, giving Alonso just enough of a comfort zone to manage his car to the finish and become the first driver to win three races in 2012. 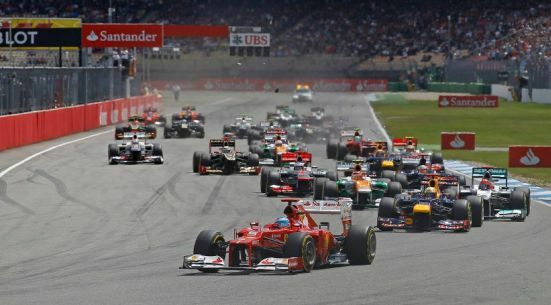 This was a great day for Fernando’s title fight as Webber could only manage eighth place, Hamilton failed to finish and Vettel received a post-race penalty which dropped him to fifth.